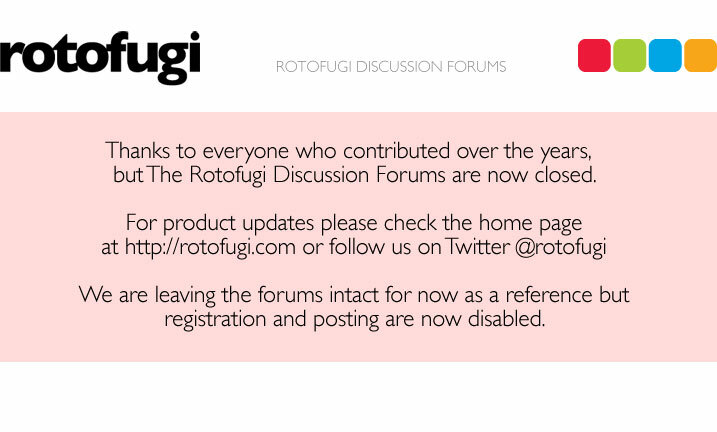 Rotofugi Forums • View topic - Wither Roto-a-matic? < Ask Rotofugi ~ Wither Roto-a-matic? How's that working out? I know you had an update on October 30, but I was just thinking about its wonderfulness. The update on October 30 (we're working it, basically) is where it's at. The new mold is being made. It's killing me to not reveal the artist and design, but I want to have the new mold in hand and make sure it works before we reveal anything. We've got an expert taking apart the machine right now, cleaning it, doing some re-wiring for safety's sake, making sure it'll last a good long while without breaking down, etc. If all goes to plan it'll be in the store cranking out new toys by sometime in early December, but no promises on the date as stuff can, and often does, take longer than planned.